When you’re here, you’re family … so leave those brats with us. In restaurant circles, it’s the rumor that Darden‘s fun Italiano concept Olive Garden is hurting for your money. To wit, it came up with what they think is a genius marketing campaign to get your butts in their seats — the restaurant will spring for your babysitter. In a world of hypersensitive parents, child predators and sick freaks around every corner, this has to be a great PR idea, right? Of course … it, um, could be? 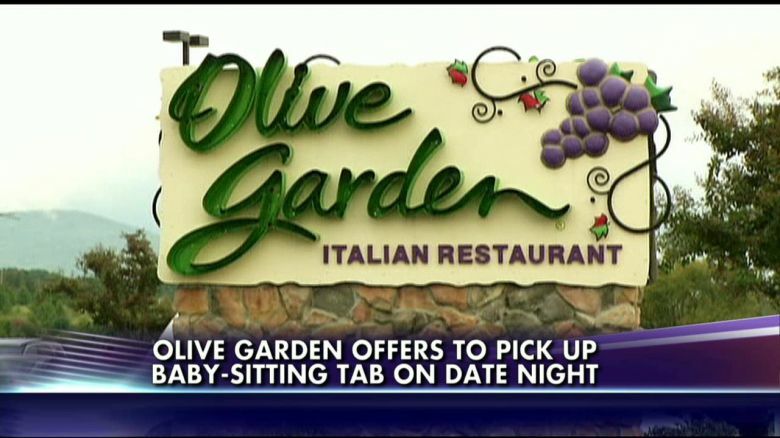 According to Business Insider, this one-night only ‘date night’ festivity will allow parents to take their child to one of the 145 participating My Gyms locations and pay a deposit, which will be returned later when they show their Olive Garden receipt. Each ‘MyGym’ will only accommodate 30 kids, so if you’re interested on dropping your kids in a gym to mangia some of that righteous salad and breadsticks, hurry! …by lowering prices, offering a new selection of small plates, and adding a burger to its menu to compete with chains like Chili’s. Same-restaurant sales fell 0.6 percent in the most recent quarter and company executives said in September that visits had declined 4 percent from a year earlier. Family Date Night is February 7. Enjoy having a night away, parents. Bring home some of that bottomless salad for the kiddos.